My esteemed opponents have so far declined to present their programme. Which leads me to have vague suspicions. Rather than make their political goals and objectives public, point by point, my colleagues stubbornly return the discussion to the field of theology. And what kind of theologian am I? Of Paradise I will say this: the question of who goes where after dying is, as they say, Allah alim – it’s Allah’s business. I do not know. And my opponents don’t know either. Only God knows for sure. Different scholars have different opinions about this subject. And I am not a theologian, but as an ordinary person I think that if what awaits us after death is retribution for our actions (and even if it doesn’t) we must try to be a good person and if possible not cause harm to other creatures, but helping our neighbour and do good. If a man has faith in God, that is very good, and he must strengthen it and follow his religion while at the same time respecting other people and their faith, as all people and all religions are created by God, and why He did it all this way and not some other way, only He knows, Allah alim. As for the suicide bombers, the mujahedin and all the rest of them, I do not know. I am not sure. Those who give their lives for their faith and the truth, will, of course, be rewarded, that goes without saying. But specific situations are more difficult. If a man puts on a suicide belt and blows himself up at a bus stop where there are one or two children, some pregnant women, pensioners and a madrasa student (who also happened to be there), then for what sort of faith and truth did he kill them all? On that disturbing note I propose to end the theological part of our dispute and move on to earthly matters. My opponents don’t refuse to reply outright. Instead, they refer me to religious books. They say that their programme is in the Koran and the Sunnah, and that I should read them. But how shall I do that? I don’t know any Arabic! And the translations are all different. The interpretations, too. 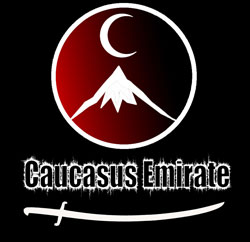 Let’s suppose that the Emirate wins and actually gains full control of the North Caucasus. Then pressing issues of the state and the economy will have to be decides! You won’t get by with references to the Koran. In between the prayers people will need to earn their bread and organize their lives. Well, let me help you to make a clear and coherent programme by asking you a few questions. 1) What will the economy of the Caucasus Emirate be built on? Oil? Industry? Trade? Agriculture? Will the Emirate have banks? If not (Sharia prohibits giving money at interest), then how will the enterprises be financed: with public funding, stocks and shares, the looting of the property of infidels? 2) Will there be private property in the Emirate? Will the land and natural resources be privately owned, or by the state? Who will own the oil: will it be given away in concessions to foreign companies, nationalized, privatized? Will there be old-age pensions, unemployment benefits, free medical care? Will there be an aristocracy – a dynasty of sheikhs with feudal rights and privileges and the transfer of titles by inheritance? 3) Will the Emirate be a republic or a monarchy? If a republic, then how will the institutions of power be elected, and who will have the right to elect and be elected? If a monarchy, then will it be absolute or constitutional? 4) Will the Emirate provide secular education, or will it be solely religious? If secular, will it be paid-for or free? Will general secondary education be compulsory? Will the natural sciences be studied? The humanities? Will people be allowed to learn foreign languages other than Arabic? 5) What nationalities will be defined as indigenous to the Caucasus Emirate? How will ethnicity be determined: by command, by father, mother, by full kinship with the help of genetics? 6) Will the indigenous nationalities have the right to leave the Emirate, temporarily or permanently? 7) Will the Emirate be secular or a clerical state? If a clerical one, what will be the state religion? If Islam, will it be the whole of Islam, or only a certain branch of Islam? If not the whole of Islam, then what specific tendencies? Will the Emirate allow its subjects to publicly profess other religions? Other types of Islam? Will it be possible to be an atheist? 8) Does the Emirate need official recognition by other states? Does it plan to recognize Abkhazia and South Ossetia? Well, or something along those lines.